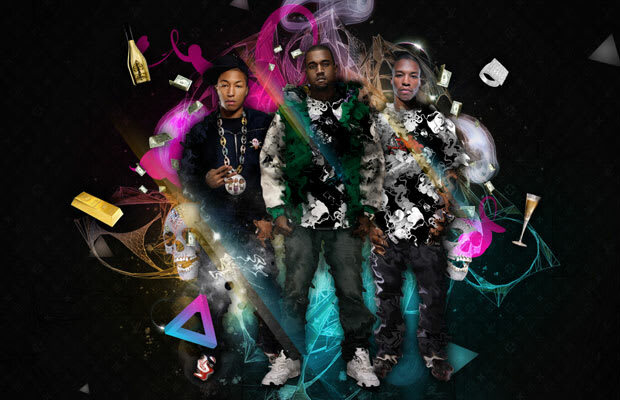 Reason It Was Shelved: Kanye West, Lupe Fiasco, and Pharrell teamed up as CRS on "Us Placers" back on Kanye's 2007 Can't Tell Me Nothing mixtape, which was later featured on Graduation later that year. All three artists expressed hope that a full-length album was in store and even after they all toured together on the Glow In The Dark Tour, as of today, nothing new has been released with the exception of a 2008 track "Don't Stop" that dropped two years ago. Plans are still on the table, according to Kanye and Lupe, but it's been a while and they all seem to be focusing on their own albums. Why We'd Kill To Hear It: With the buzz of “Us Placers” and an official guest appearance on “Everyone Nose (Remix),” signs were pointing that CRS was a force to be reckoned with. If Pharrell and Kanye handled their producer/rapper duties and Lupe went in with his lyrical heat, the album would have been a contender for a hip-hop classic. CRS will probably be on hiatus forever, but the potential seen in the three MCs on “US Placers” was big. Like all of their fans, we’re still crossing our fingers.